The Monkees may have been a pre-fabricated group made for television but during 1966 there popularity rivaled that of The Beatles. Their first two single releases, “Last Train To Clarkesville” and “I’m A Believer” both reached number one on the BILLBOARD MAGAZINE Pop Singles Chart. “I’m A Believer” was the number one single of the year. Their original career only lasted three years as once their TV show was canceled their commercial success began to decline. THeir last top 20 hit until their 1980s comback was “D.W. Washburn.” it first reached the BILLBOARD Chart June 15, 1968. During its seven weeks on the chart, it peaked at number 19. The flip side, “It’s Nice To Be With You,” also charted at number 51. It was not as catchy as many of their hits and in some ways it seems as if the band was just going through the motions. While they would disband during 1969, there would be reunions in the 1980s and 1990s. 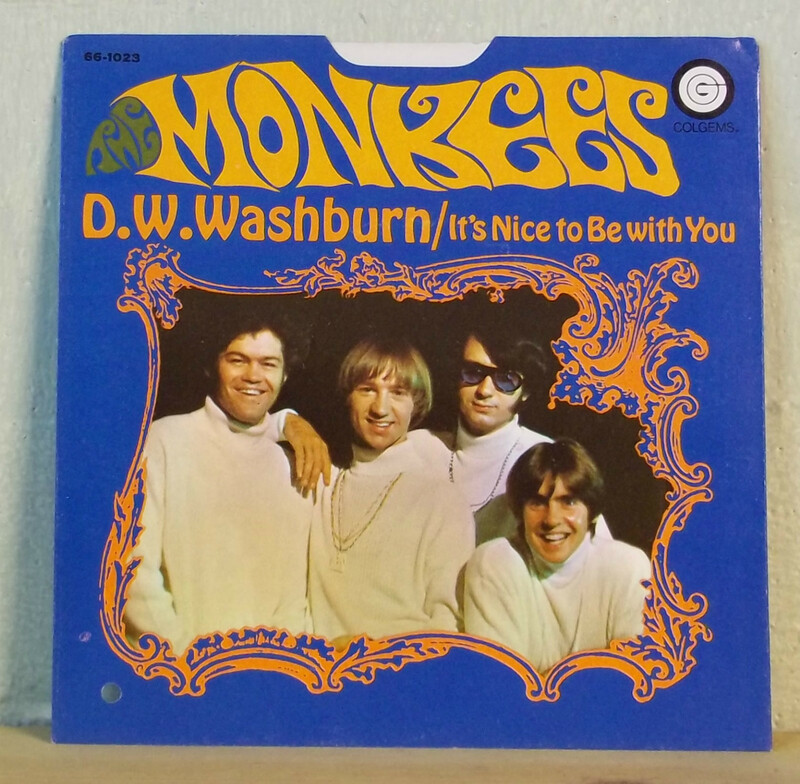 This entry was posted on Monday, July 23rd, 2012 at 4:00 am and is filed under Monkees Reviews, Small Record Reviews: The 45. You can follow any responses to this entry through the RSS 2.0 feed. Both comments and pings are currently closed.